Following last weekend’s release of Spider-Man: Homecoming, social media has been flooded with memes and debates over the best depiction of Spider-Man, or the relative merits of his various love interests as depicted in the different film franchises. Lists and debates aren’t foreign to discussions of a comic book nature, but the ones revolving around Spider-Man always tend to involve a lot more hysteria and loaded bias than others. When a website or fan asks fans who their favorite Batman actor was, it tends to be a calm matter-of-fact discussion of personal preferences. I’ve never seen it devolve into a cesspool of personal threats and declarations of racism quite like a Spider-Man debate almost always does. Every Batman movie has been equally as comic book inaccurate as any Spider-Man movie, if not more so, and yet it never seems to matter as much to Batman fans. I prefer Michael Keaton’s Batman, and that is entirely because I was 11 years old when I saw Batman ten times in the theater. I don’t claim those Burton movies are better films, in a vacuum, than the Nolan ones. They’re probably not. Yet, nostalgia and personal bias seem to be the dominant factors in any discussion about Spider-Man movies. The enduring commitment to the Tobey Maguire Spider-Man films is made only more inexplicable due to the absolute garbage fire his performance in those films was. (Calm down, that's my subjective opinion. It happens to be 100% true, but still.) I challenge anyone that champions those movies, to prove they’ve watched them at any point in the past 10 years. I’m with you — at the time they were released, they were absolute revelations. Their influence on the (at the time) growing superhero revolution in movies cannot be measured, but just because it was one of the first, does not (absolutely does not) mean they are still enjoyable to watch. Tobey is whiney and unlikable. Some might say that’s an accurate adaptation of the character of Peter Parker, and they might be partially right, but it’s not the whole picture, and shouldn’t be. More often than not, this dedication to the soiled diaper that is Tobey’s Peter Parker has a lot to do with the character of Mary Jane as his primary love interest in those three movies. There’s been a subset of Spider-Man comic book fans that remain obsessed with the marriage of Peter and Mary Jane in the comics, a status quo that lasted for almost 20 years before it was erased in 2007, give or take. Despite this long-standing marriage, Peter’s true love has been a subject of much fan interest for the entire publication history of the character. This is why you can have a supporting character like Rachel in the Dark Knight movies, one that never existed in the comics, and nobody cares. Batman has no “true love,” and shouldn’t, because he’s a long-running fictional protagonist. This subnarrative of Peter Parker and his true loves, is something that never should have existed, not considering the core foundation the character was created with. This is only exacerbated each time a new movie comes out, with a new cast, and the reveal of which of Peter’s important love interests has been picked to be the co-star of this new iteration. Kirsten Dunst was never playing Mary Jane Watson, not the MJ we know from the comics. But she’s white and had (dyed) red hair, so that makes it okay. However, Zendaya plays a character named Michelle that just so happens to go by the initials MJ, and all the racists come out with their pitchforks. (Sorry, you can qualify it any way you want with source material accuracy and what-not, complaining about the color of her skin is the definition of racism.) My problem with Michelle has nothing to do with the color of her skin, or her unkept appearance. My main problem with Michelle is that they didn’t go far enough and name her Mary Jane. They tried to curtail the predictable racist complaints by giving themselves the excuse that “she’s not Mary Jane, she’s Michelle,” even though it’s clear which character using the initials MJ is supposed to invoke. Inspired by, but not. Either create a new character, use the already established Michelle we know from the Spider-Man comics, or make her Mary Jane. Not that any of this really, truly matters when it comes to if the movie is good or not. It’s easily the best Spider-Man movie ever made. Regardless, if you’re opposed to Zendaya as MJ, but loved the dumpster sandwich that was Kirsten Dunst, you’re a flat-out idiot. If you’ve ever said or typed the words “forced diversity” with sincerity and intent, please go away. 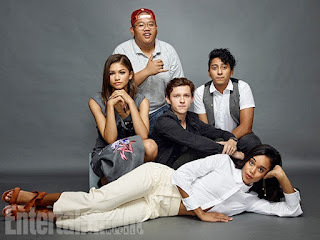 As influenced by nostalgia as I and other fans clearly are, then we can only hope the diverse cast offered up in Homecoming will one day mean as much to a new generation of fans as it does to the current crop of fans. That is the only hope we have as a society. That the generations after us learn from our mistakes and strive to be better. This may only be a discussion about the diversity of and overall quality of superhero movies, but it’s representative of a larger symptom in our society. One which needs to go away forever. One which values “tradition” and accuracy to a franchise created in 1962 over the betterment of all people, no matter the race, religion, or creed. I don’t care if you’re upset that Liz is black, or Ned Leeds is Asian. It’s dumb. It’s literally a dumb thing to be upset about. What I do care about is that they give a young fan a face they can recognize and be inspired by, and that they show all fans that it doesn’t matter what someone looks like, it matters how they treat you. Ultimately, that’s what matters the most in life. 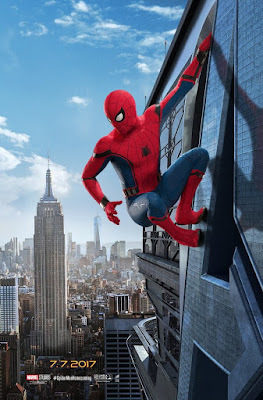 I have seen all 3 Raimi films in the past year and i can assure you that they are SO MUCH BETTER than Homecoming (which I thoroughly enjoyed). It's not fair to compare since they're doing different things, but since everyone else is, I can tell you that they Raimi captured the Pathos of Peter Parker/Spiderman better than Homecoming did (a few moments came close). But I'd love to know what your opinion is on the older films as a whole versus the new one. What makes Homecoming better in your opinion? 4) Spider-Man 3 remains the only movie I ever saw in a theater where people actively walked out. I came close to doing it too; it was so horrible. None of them are any good from a 2017 perspective. Ian, thanks for reading and for commenting. Comic book movies have never been about complete accuracy to the source material for me. What matters is that the get the spirit of the characters right. It's why Guardians of the Galaxy is easily my favorite movie, even though it's drastically different from the comics. That being said, the Raimi movies get basically everything wrong. The Raimi Spider-Man movies focused a lot on how Peter can't have a normal life because of the responsibility he has to be a hero. He can't have a girlfriend, or a nice job, or go to class, or be a best friend. That's an aspect of the comic Spider-Man, but I feel focusing on that is much more of a Batman trait. Spider-Man has always been about trying to have it all, and it going wrong. Not avoiding the niceties of life for duty. It's why he has girlfriends that die and friends that go rogue. Most of the people around him have tried to kill him unknowingly at one point. He may miss a few parties in Homecoming, but he does want and try to "get the girl." Second, and this is very superficial, when Peter has the mask on he actually enjoys being Spider-Man. Peter has his moments, and he's certainly self-centered, but he's never been as depressed as Tobey plays him for all three movies. He has 2 quips in all three films, and I'm sorry but that's a major aspect of the character. It's a notable aspect. Lastly, I think the comic movies have simply gotten better with time, a natural evolution.